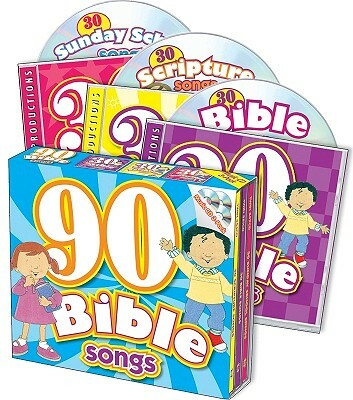 90 Bible Songs 3 Audio CD's by Thompson Kim Mitzo features popular Bible songs that kids will enjoy and will be encouraged to understand various Bible stories. 90 Bible Songs 3 Audio CDs by Thompson Kim Mitzo was published by TWIN SISTERS in February 2010 and is our 37077th best seller. The ISBN for 90 Bible Songs 3 Audio CDs is 9781599225777. Be the first to review 90 Bible Songs 3 Audio CDs! Got a question? No problem! Just click here to ask us about 90 Bible Songs 3 Audio CDs.